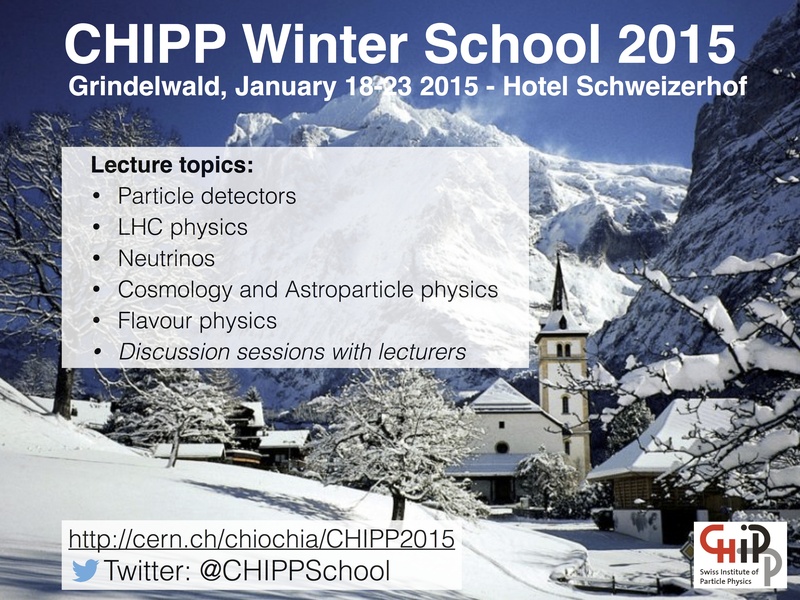 The Swiss Institute for Particle Physics (CHIPP) has been founded in order to coordinate both the research as well as the outreach and education activities of the Swiss Institutes involved in Particle and Astro-Particle Physics. A first step towards coordinated education activities was the organization of the very first CHIPP PhD school in January 2008 in Naefels, Glarus. More editions followed in January in Ascona, Leukerbad, Engelberg and Grindelwald. The event is kindly supported by the Swiss Academy of Sciences and CAEN S.p.A.